Columbia police are investigating the theft of an SUV early Sunday morning as well as three vehicle break-ins during the same time period. A black 2007 Cadillac Escalade was stolen from the 600 block of Briar Lakes Place. The theft was reported shortly after 9:20 a.m. Sunday, but the crime is believed to have occurred between 3 and 5 a.m., police said. The vehicle, which was recovered late Tuesday night outside of Monroe County, was unlocked with its keys inside. Also early Sunday morning, a Chevrolet Equinox was entered in the 2500 block of Columbia Lakes Drive and a Dodge Ram and Chevy truck were entered in the 2600 block of Columbia Lakes Drive, both with items reported missing. There were no signs of forced entry to these vehicles, police said. 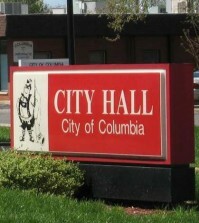 Columbia police handled seven reports of stolen vehicles in 2018 in addition to this first such report of the new year. 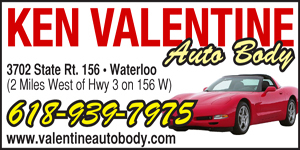 Early on Dec. 31, three vehicles were reported stolen from the Royal Gate auto dealership. For more on that incident, click here. “We can’t remind people enough to lock their vehicles overnight and keep valuables out of plain sight,” Columbia Police Chief Jerry Paul said. Anyone who may have observed suspicious behavior late Saturday or early Sunday in the area of the thefts is asked to call the Columbia Police Department at 281-5151.